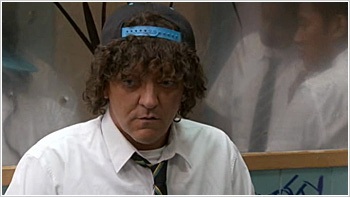 Banished to Tonga to live with his uncle after being expelled from Summer Heights High School, 14-year-old Jonah is causing more trouble than ever. His father Rocky and Aunty Grace take him back to Sydney to start a new life at a Catholic high school. Six weeks later and Jonah is the leader of his new Year 9 gang 'Fobba-liscious' who defend their turf against their enemies 'The Rangas' and Jonah's arch nemesis Graydon the school captain. The boys attend Lazarus House for learning difficulty students run by Mr Joseph, a vocational-based programme where he uses violence and unorthodox methods to control the class. Jonah and 'Fobba-liscious' allegedly dominate the school as they partake in breakdancing, graffiti and flirting with teachers. 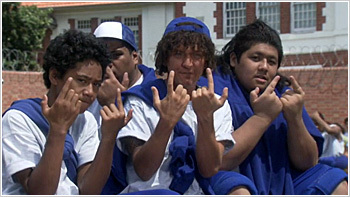 After school Jonah reveals he's been in trouble with the law and loiters with local Polynesian gang 'The Soldierz'. But at home, despite the loss of his mother at a young age, Jonah's supportive family believe his future looks bright. Jonah and the "Fobba-liscious" boys are forced to meet with new youth worker Kool Kris after being caught making bully videos for YouTube. When Jonah is made fun of by School Captain Graydon at a break dancing demo he plots to take revenge on Graydon's locker with the help of the school welding equipment. While grounded, Jonah and the "Fobba-liscious" boys escape through a window and go bowling. Jonah manages to get his cousin Melody to agree to be papier machéd for an art assignment. The "Fobba-liscious" boys hide from Kool Kris to avoid counselling and Jonah seeks refuge with Sister Monica by pretending to be sick. At Lazarus House, Jonah makes Mr Joseph look bad in front of the Catholic Education inspectors. After school, Jonah and the 'Fobba-liscious' boys decide to hold up the Tenpin Bowling Centre to steal the "golden bowling ball". A month has passed and Jonah has settled into prison life as gang leader of 'Juveliscious'. His rival Jarrod, an Aboriginal teenager, threatens his status but his close connection with guard Therese guarantees that he's having a good time while locked up.